This is the table of contents for "Cut to Black," a six-part, one-hour discussion of The Sopranos' ending and the future of TV drama. This post contains links to all six episodes, plus transcripts. Participants include RogerEbert.com editor and New York Magazine critic Matt Zoller Seitz, Huffington Post TV critic Maureen Ryan, A.V. Club TV critic Ryan McGee, and previously.tv contributor Sarah D. Bunting. And yes, if you're wondering, we do get into whether Tony got whacked. This chapter talks about the shock of first seeing the Sopranos ending, and viewers' reluctance to accept that it was meant to be ambiguous. This is the "Did Tony get whacked?" episode. This chapter talks about how viewers bond and identify with TV shows, what they expect from them, and what happens when the shows don't deliver. This chapter deals with The Sopranos' sense of satire, and gets into whether it's possible for a TV show to have "a plan" and stick to it. 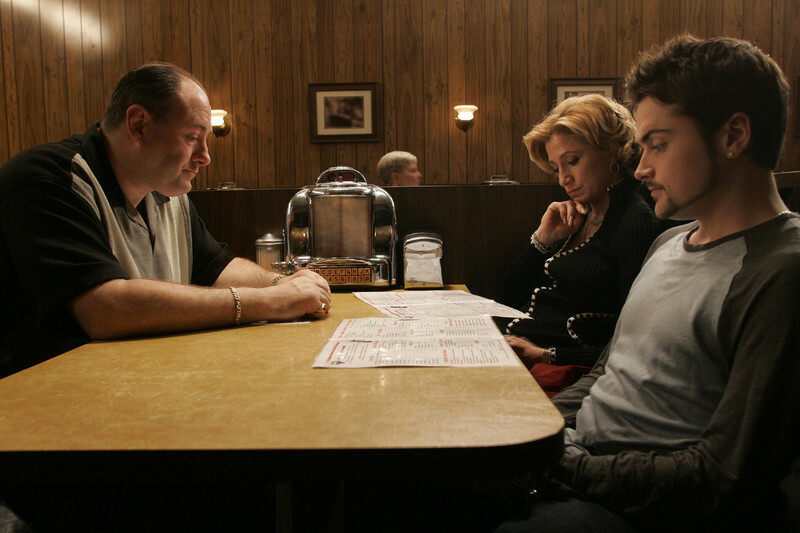 This chapter looks at the lessons that TV producers took away from The Sopranos' success, for good and ill.
What long-term impact did The Sopranos have on television?